The 1979 Spanish Grand Prix was a Formula One motor race held on 29 April 1979 at the Circuito Permanente del Jarama near Madrid, Spain. 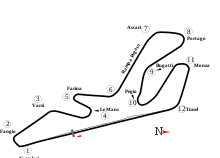 It was race 5 of 15 in both the 1979 World Championship of F1 Drivers and the 1979 International Cup for F1 Constructors. The 75-lap race was won by Patrick Depailler, driving a Ligier-Ford, with Lotus drivers Carlos Reutemann and Mario Andretti second and third respectively. Patrick Depailler 75 laps (1–75). ^ "Motor Racing Programme Covers: 1979". The Programme Covers Project. Retrieved 28 October 2017. 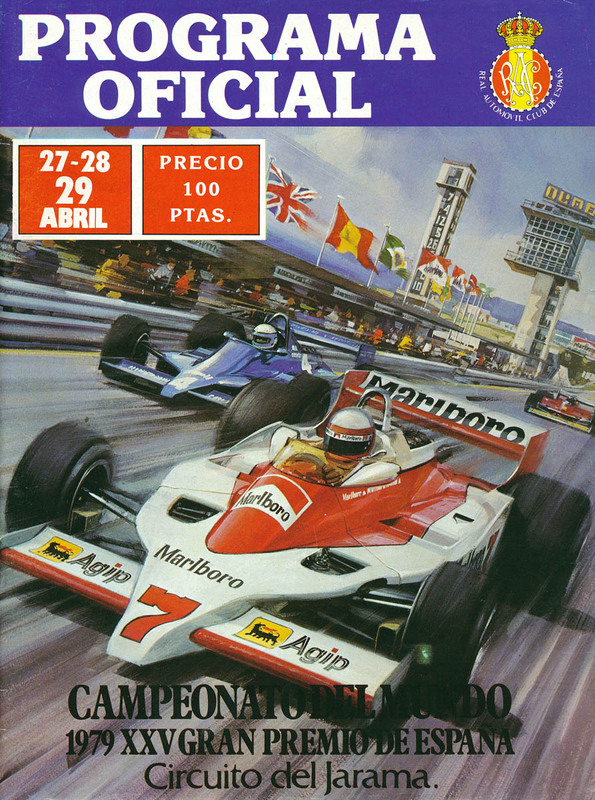 ^ "1979 Spanish Grand Prix". formula1.com. Archived from the original on 9 February 2014. Retrieved 23 December 2015. ^ a b "Spain 1979 - Championship • STATS F1". www.statsf1.com. Retrieved 20 March 2019.